Did you enjoy our previous classroom posts on Circular Sticker and Rainbow French tips? In this post, we are making a simple nail art with the once very popular galaxy sticker. A black base maybe what comes to mind first, but other shades may work just as well. I am going to do a pale pink base. 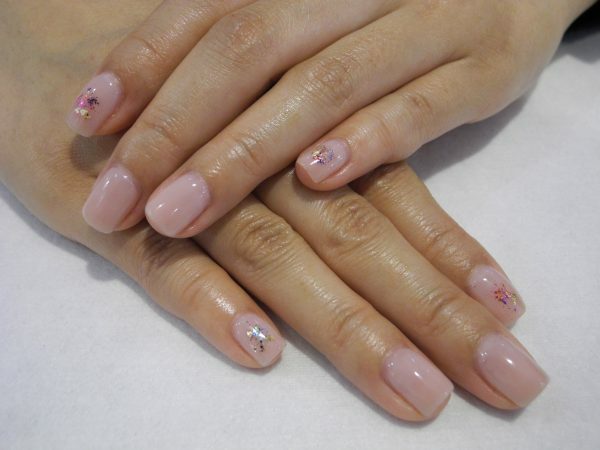 It may seem a bit unexciting at first, but once I stick on the galaxy sticker and add some vivid colors , the whole thing is different… you do not need to cover the entire nail with galaxy sticker, just a small portion works wonders.